Posted by delvenlp on Monday, November 12, 2018 in Archives, News. 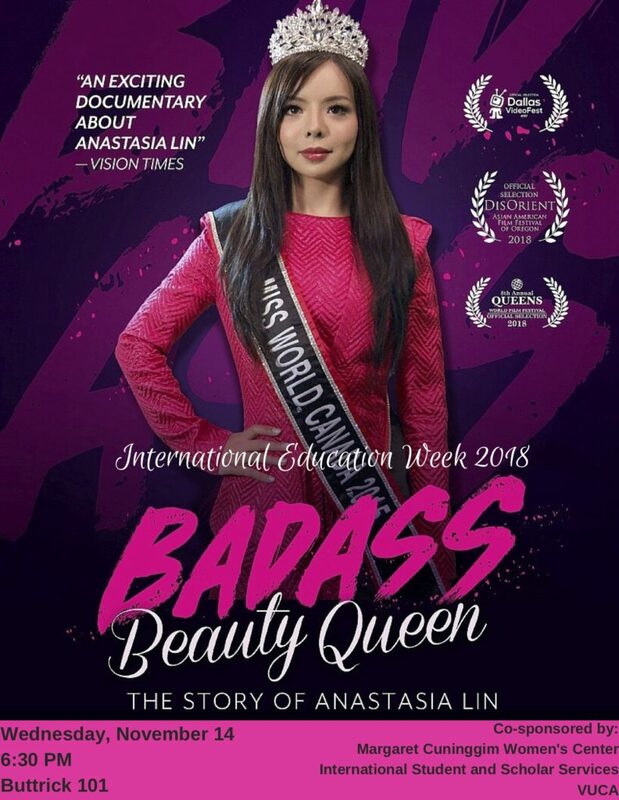 Join the Women’s Center in celebrating International Education Week with a film screening of Badass Beauty Queen! Light refreshments will be served. BADASS BEAUTY QUEEN is the story behind Miss World contestant Anastasia Lin using her beauty and brass to stand up against an oppressive juggernaut- the Chinese communist government. It’s a David vs. Goliath story except this time David is taking on Goliath in 6 inch heels.